The article reminded me of two specific examples of ‘pay it forward’ type thinking that I wanted to share, and while they are not at all digital, this is the best place I have to share them! The first came when I first started out in media 20 years ago (gulp!) I was working in media sales for the South London Guardian. A big category of advertiser for me at that time was restaurants, and in particular Indian restaurants, which is handy because I have a near obsession for Indian food! I remember visiting restaurant after restaurant to sell space in our monthly wine & dine feature, which consisted of a double page spread full of restaurant advertising, with an editorial piece at the top for one of the paying advertisers. Almost every restaurant owner wanted to offer a ‘free bottle wine with a table of four’ or ‘your first beer free if you spend a certain amount’ and they wanted that prominently displayed in their advertising copy. The message was very much if you dine with us, we will chuck something in to sweeten the deal and it worked. One restaurant refused to lead with offers, however. It was the Asif Balti House in Beddington, and it had a fantastic reputation for excellent food and service. Ali, the owner, believed that offering a free bottle of wine devalued his restaurant, and refused no matter how many times this young, eager salesman tried to convince him that it would increase his response. What Ali would do instead, is he would accept a lower conversion rate by not offering anything free in his advert. However, when a new customer had finished dining and had paid the bill, he would present them with a free bottle of wine to enjoy at home. I witnessed exchange may times and I can testify that the surprise and good will generated was so higher that way round. Customers would walk out with a spring in their step and a big grin, ready to spread some more word of mouth advertising for Ali. The ‘free bottle of wine’ doesn’t feel like a gift, it feels more like a manipulation – a part of the price. The free bottle of wine as you leave feels like a present, and there are no strings attached as you have eaten and paid. I learnt a valuable lesson from Ali all those years ago, which has stayed with me ever since. 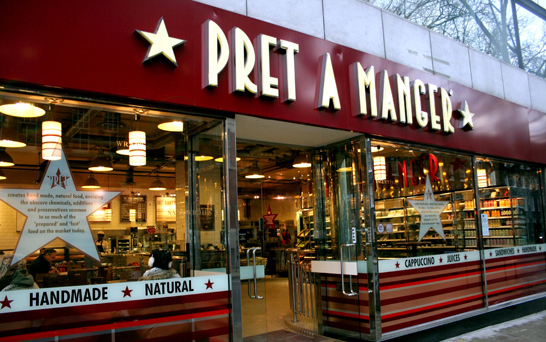 The second example was more recently at Pret. I was working near Bond Street underground station, and my morning patronage was split between Starbucks and Pret, depending on who had the shorter queue. I hate to queue! One morning I walked past Starbucks into Pret, ordered my coffee, and waited as patiently as I am able for it to be prepared. When it was ready, I offered a note in payment, and the lady said ‘not today sir, this one is on the house’. I was shocked & delighted in equal measure. The monetary value of that coffee may be low, and getting it free had no real effect on my finances, but the goodwill it generated saw me lean more towards Pret than Starbucks from that day onwards and I went straight into work and told the entire office about my great start to the day and have told many people since as well. I guess the morale of the story is that if you offer consumers something free up front, it feels more like a negotiation, but if you offer nothing free upfront, but offer something freely from time to time the levels surprise and good will generated are significantly higher.